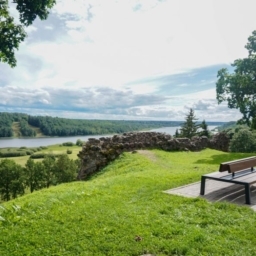 Both built up and raw land in Estonia has seen a significant increase in the number of deals in the second quarter of 2011, according to Tõnu Toompark on his adaur blog. This is in direct contrast to apartment deals which over the same period have seen a decline in frequency. The second quarter of 2011 saw 2710 transactions involving undeveloped land, which is almost one fifth higher than a year ago, writes Tõnu. This at the same time represented an increase in value of sales of 62 per cent. Total growth in sales of undeveloped land over the same time period came to a value of 66 million euros, Tõnu goes on. The majority (80 per cent) of land deals have involved undeveloped land, but only 66 per cent comprised profit-yielding land, Tõnu explains. 1351 deals involving developed land were concluded in the second quarter of 2011, writes Tõnu. Whilst the number of deals of this type as a whole rose by 10 per cent year-on-year, their corresponding value only rose by 2 per cent over the same period, he says. According to Tõnu, the total value of sales of built-on land came to 109 million euros. Developed land transactions made up the majority (60 per cent) of all residential deals, Tõnu continues. Both developed and undeveloped land transactions are still a long way off the peak levels in 2006, when the total number of undeveloped land transactions stood at over 4000 in the second quarter of the year, to a value of over 300 million Euros, and developed land transactions stood at around 3000 during the same period, naturally with a higher total value (peaking at just under 450 million Euros in the final quarter of 2006). See here for the full report (in Estonian) plus graphs illustrating the changes in value and total number of developed and undeveloped land transactions since 2004.